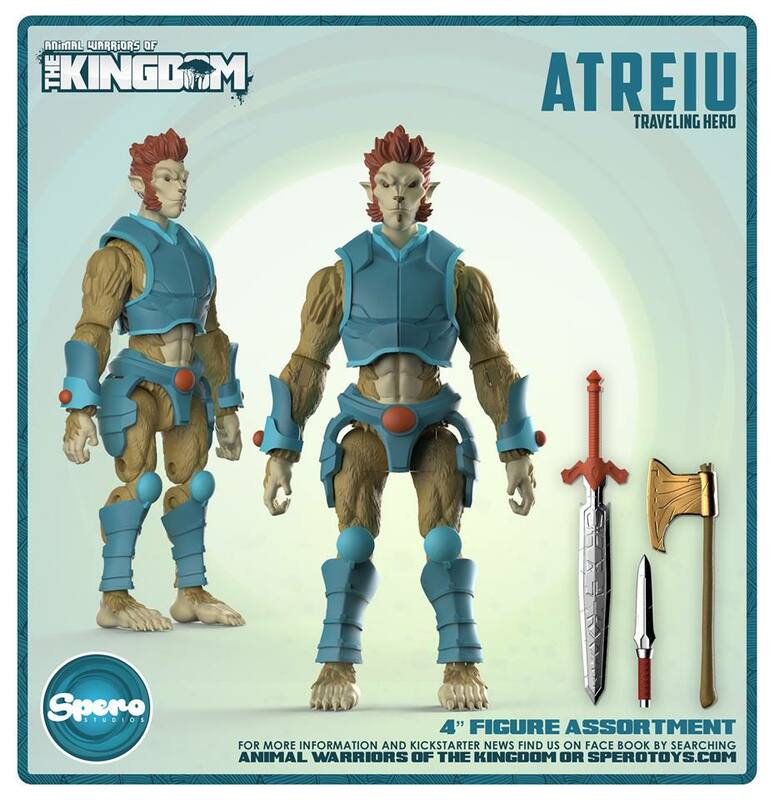 Last year, we followed the Kickstarter for the Animal Warriors of the Kingdom by Spero Toys. 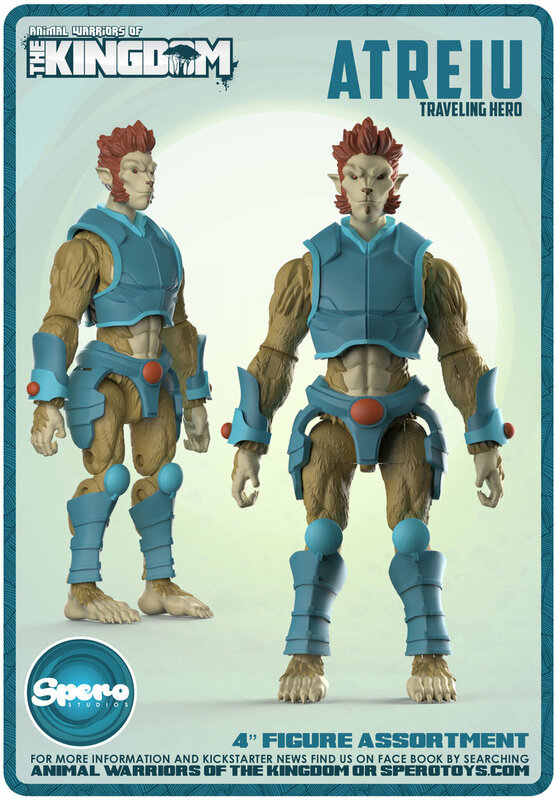 These were meant to be a series of 4″ scale figures inspired by the comic of the same name. Unfortunately, the original Kickstarter ended without getting the funding that was needed for the series to move forward. 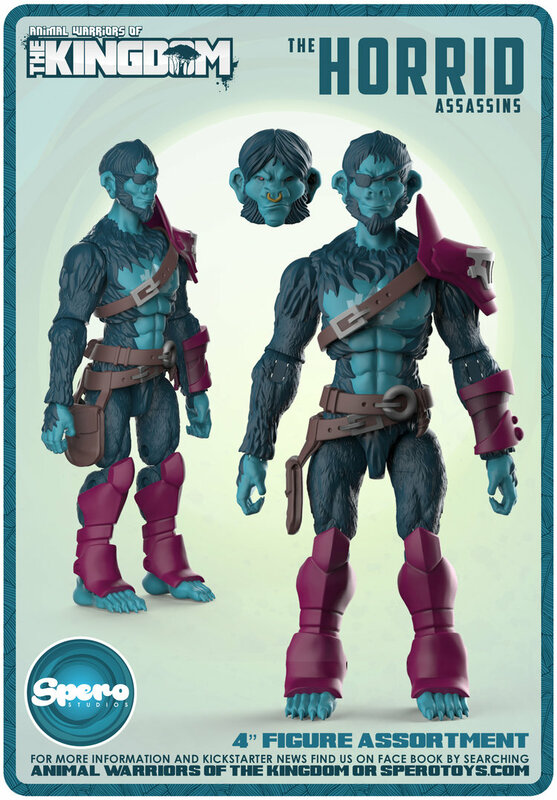 Fast forward to 2017, and Spero Toys has retooled the main idea, and is starting with a completely new set of characters and figures for their next Kickstarter. 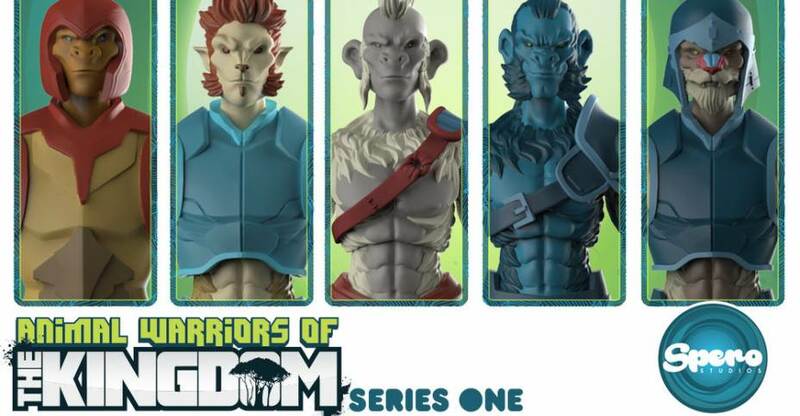 These new figures feature a mix of ape, feline and canine characters, all with completely new, and more detailed, sculpts. 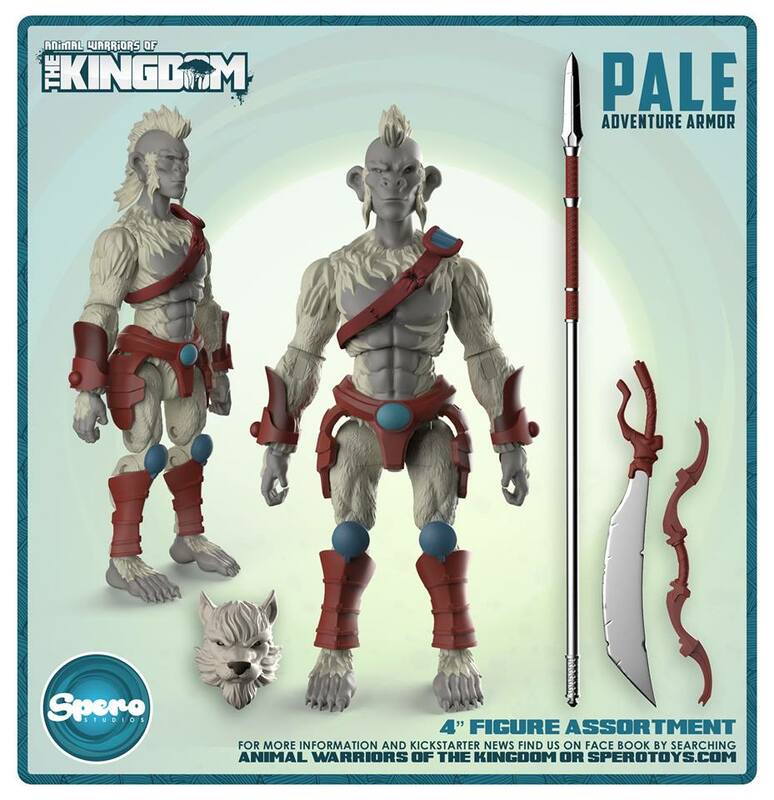 ANIMAL WARRIORS OF THE KINGDOM™ Series One: will consist of Ape, Canine, and Feline warriors, including the series main protagonist the albino ape Pale and he’s vile nemesis Baron Kah Lee. 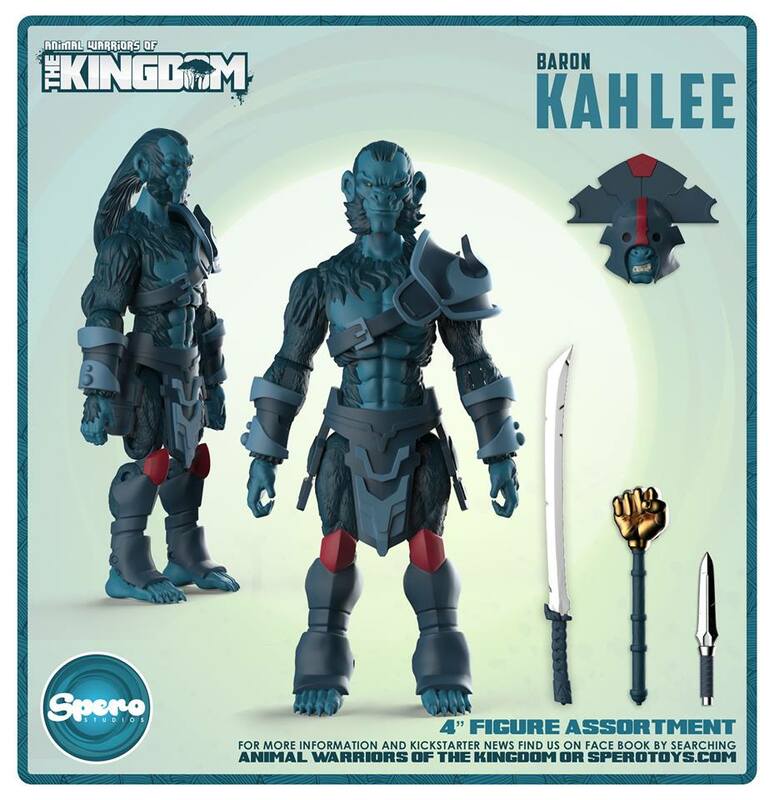 Each figure features 17 points of articulation as well as weapon accessories. 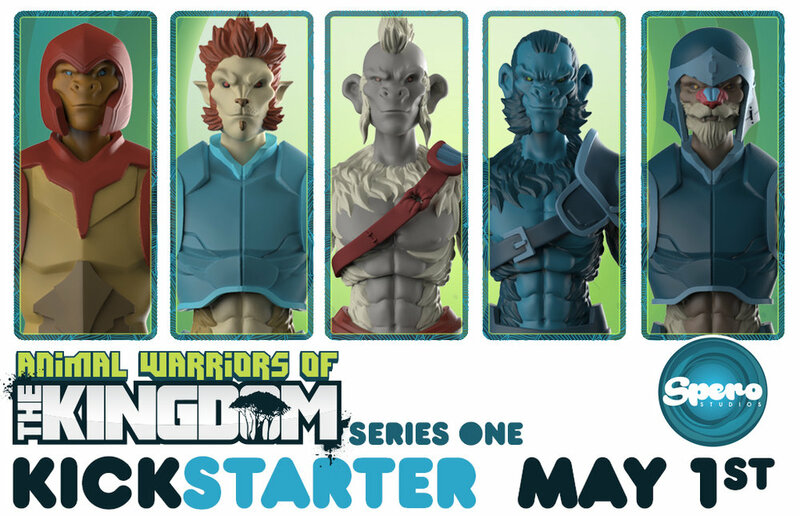 The new Kickstarter is set to launch May 1st. We’ll update as the date gets closer. 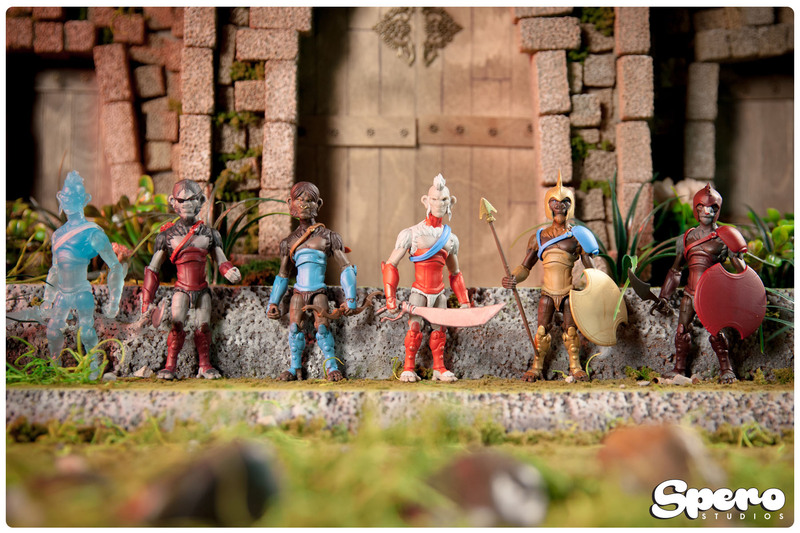 For now, read on to check out some photos of the figures. I think these look neat and fun^^. Maybe I will back their kickstarter depending on the price, especially the shipping price(hopefully, it will be under 20$). My only nitpick is they all have a corset:/. I mean, it doesn't have ribbons and lace, but it's still kinda weird. Jason says he's shooting for a $19 price for each for the KS campaign, but that may rise on the other end once the company is up & running full production. And corsets and girdles were warrior garments way back in the day in MidEast and African cultures, and often part of a warrior's under-armor garb (hence the phrase, 'gird your loins') up until gun weapons predominated and they were rendered useless. Then the French thankfully invented lingerie and terms for male war-clothing were appropriated for frilly underwear for ladies. Sweet, we've got a commercial! Check it, y'all! Nevermind( I don't know how to delete the post). Jason and I are working on a FAQ. Y'all got any questions? 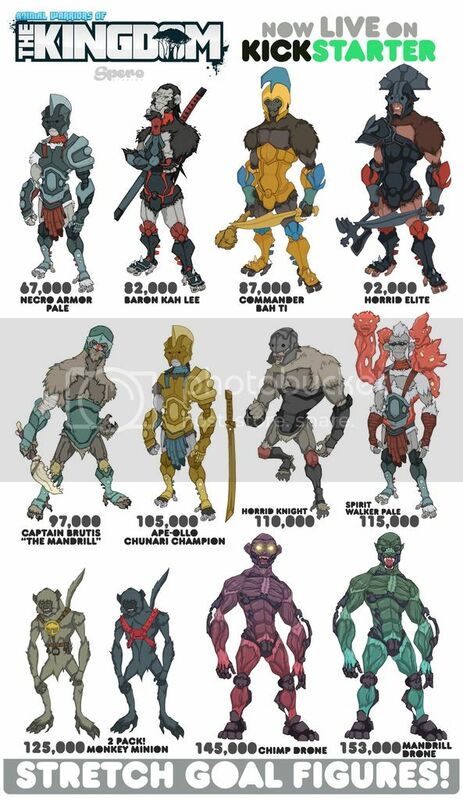 FAQ are up and here is a visual representation of the ALL IN option. Great idea for those outside of the United States who want to team up and save on shipping! Nice! Added the art to the last post. 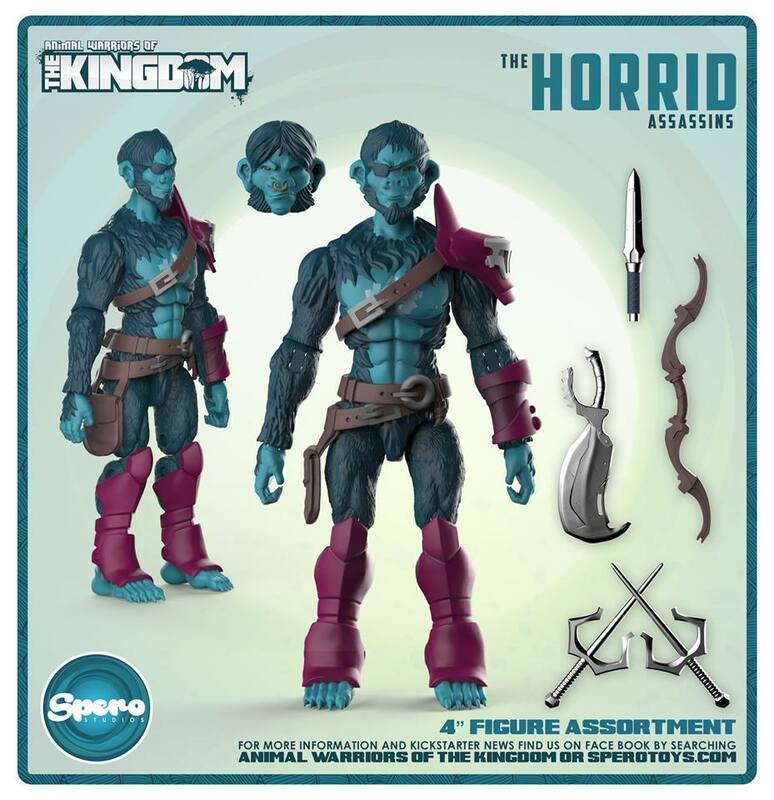 I'd like to support any company that makes poseable and good looking anthro animal figures, but... monkeys? 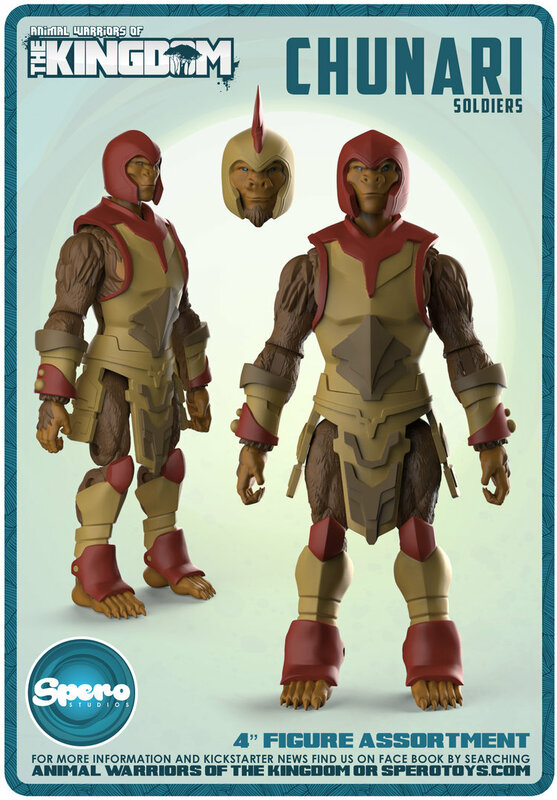 To me, they are the least anthro species they could have chosen. 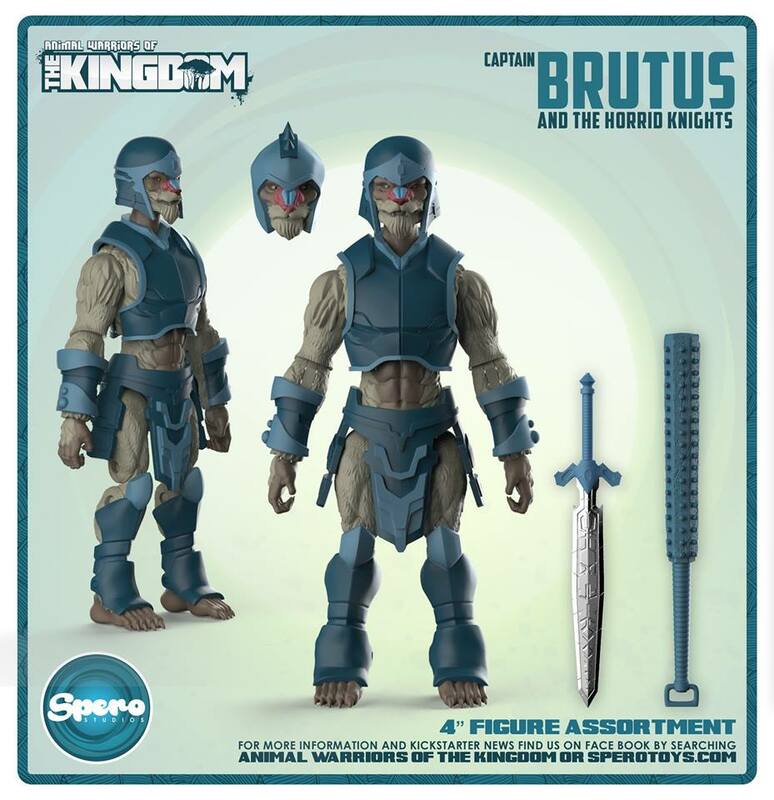 And I dunno to whom these would appeal - not even to Planet of the Apes fans as they are monkeys, not apes. 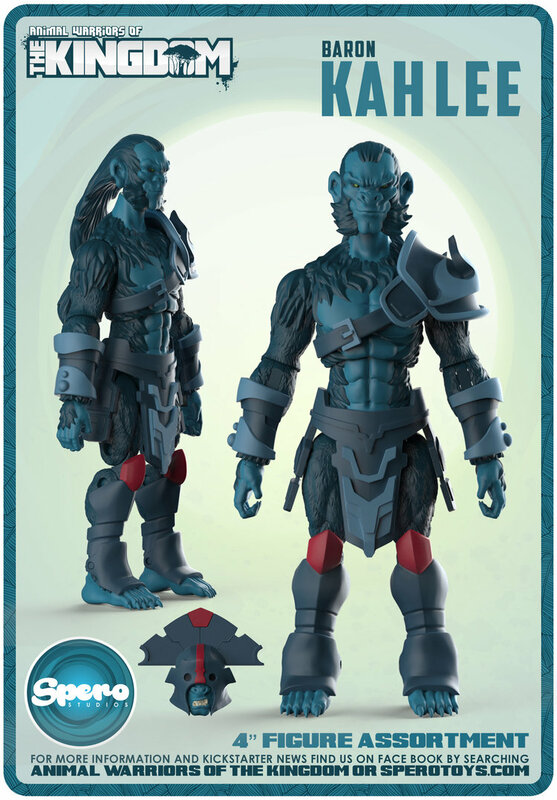 Let me know if they start making gnolls or lizardmen/women. Yeah, I unfortunately have to agree. 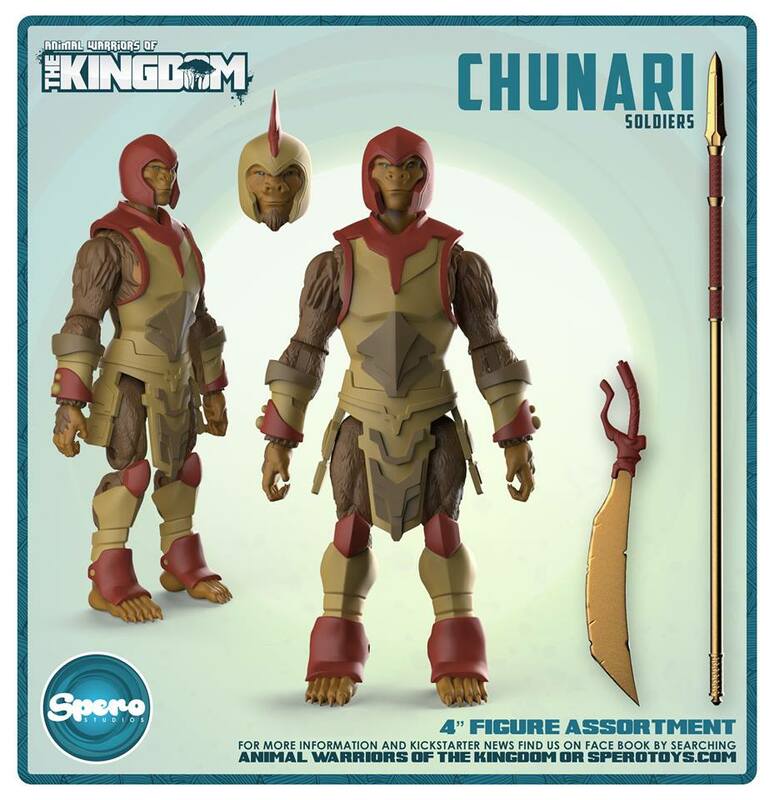 I give no shits about monkey warrior figures. Sorry. Even though I've already expressed disinterest, I still hope they manage to pull this off. 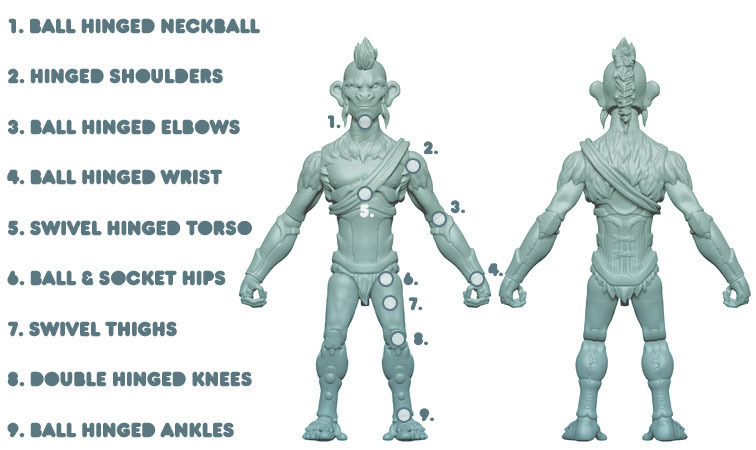 I never want to see someone fail in getting their endeavor off the ground, and despite how I may feel about monkeys, these figures nonetheless look like a quality product with some dynamic design work. Still, just under $20,000 in 33 hours is a tall order...hopefully they get a lot of last-second pledges. I wonder what happens though if they don't reach their goal, do they refund all the donors? I'm not 100% sure, but with Kickstarter I don't think any funds are collected unless they hit their goal. Correct. If the goal is not met, then you don't pay. Money isn't even collected until after the end of the Kickstarter campaign. I've backed a few Kickstarters so far. A few I missed out on I wish I had backed. 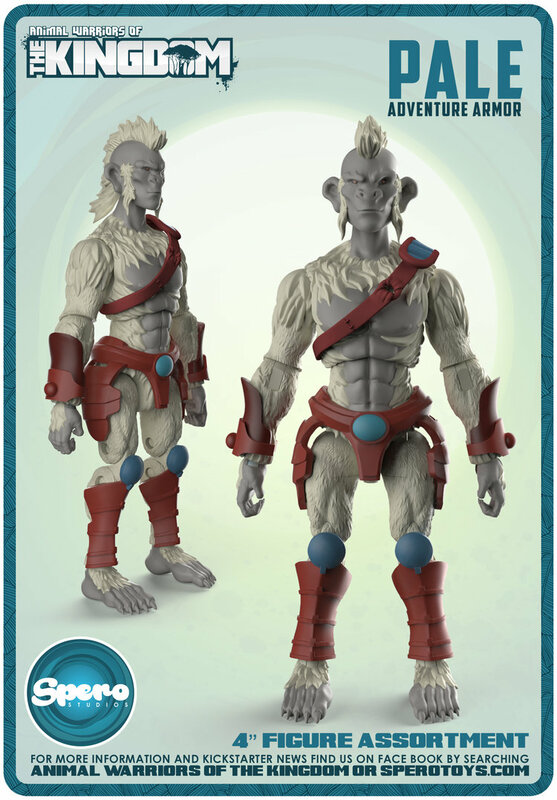 "The young albino ape king sports his trademark Mohawk and red armor while wielding the ability to absorb his fallen enemies powers; however this gift comes at a great cost as their ghosts become attached to him and slowly drive him mad!" Soooo... does Robert Bonobo come and kill this Mad King? Because he should. The Kickstarter didn't make it. 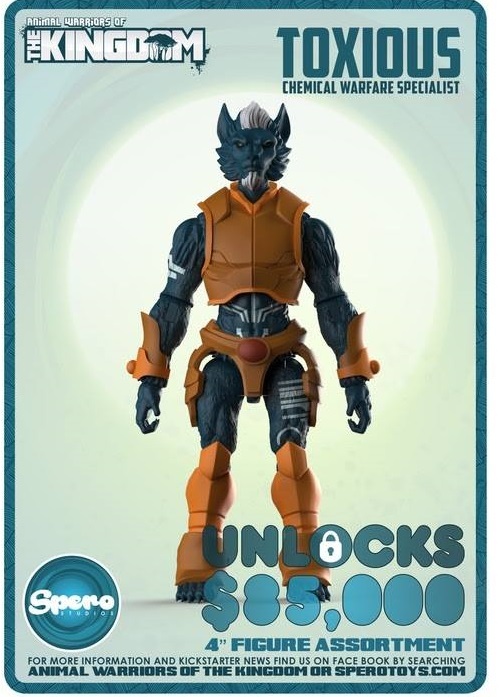 I didn't much care for the look of these figures, but it still makes me sad to see this and endeavors like it fail. I'm not opposed to the concept, I've bought awesome-looking bipedal birds and dragons from the Four Horsemen. If this line's quality came close to that, I'd have definitely bought in. For that to happen though, they'd probably need to be at the six inch scale. 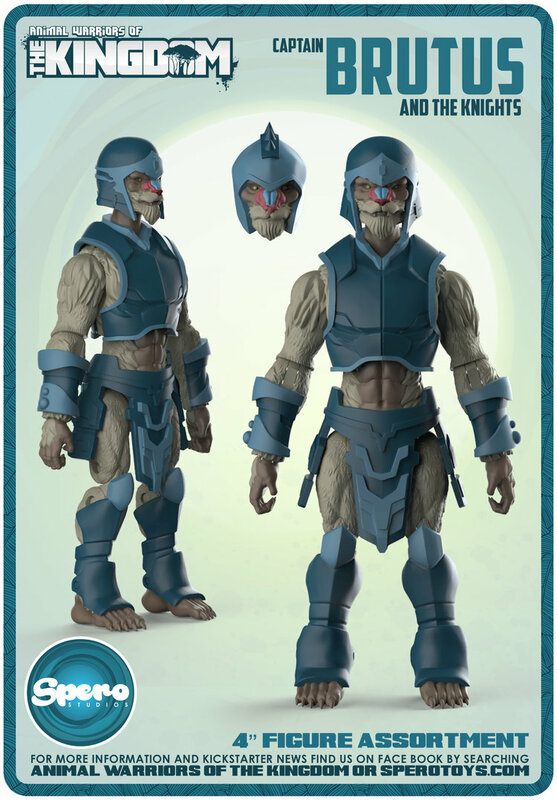 I haven't seen it mentioned yet but they have sold the prototypes from the first campaign and re-designed the figures. They plan on launching a new campaign May 1st. 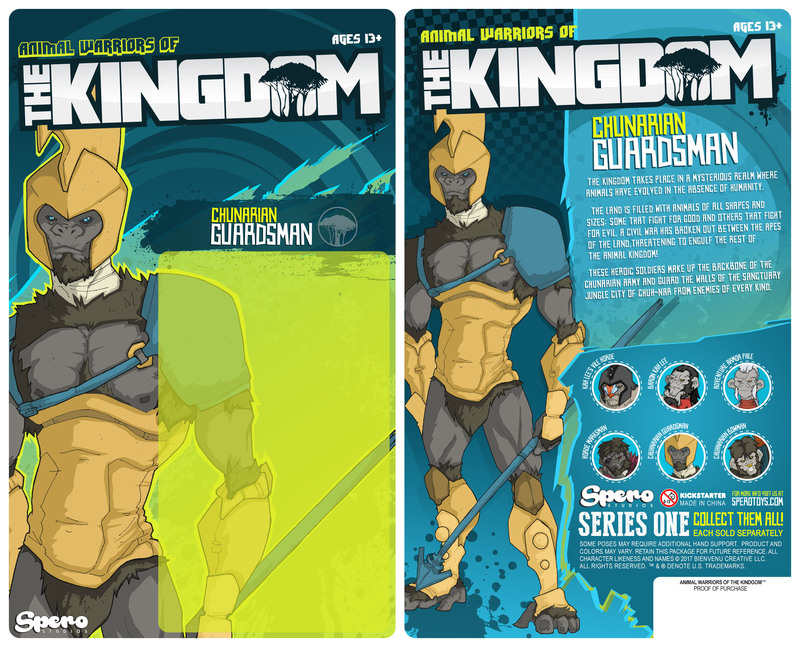 I backed the last one and I am really liking the new designs. I look forward to backing this one as well.